Gift Sets - COMING SOON! 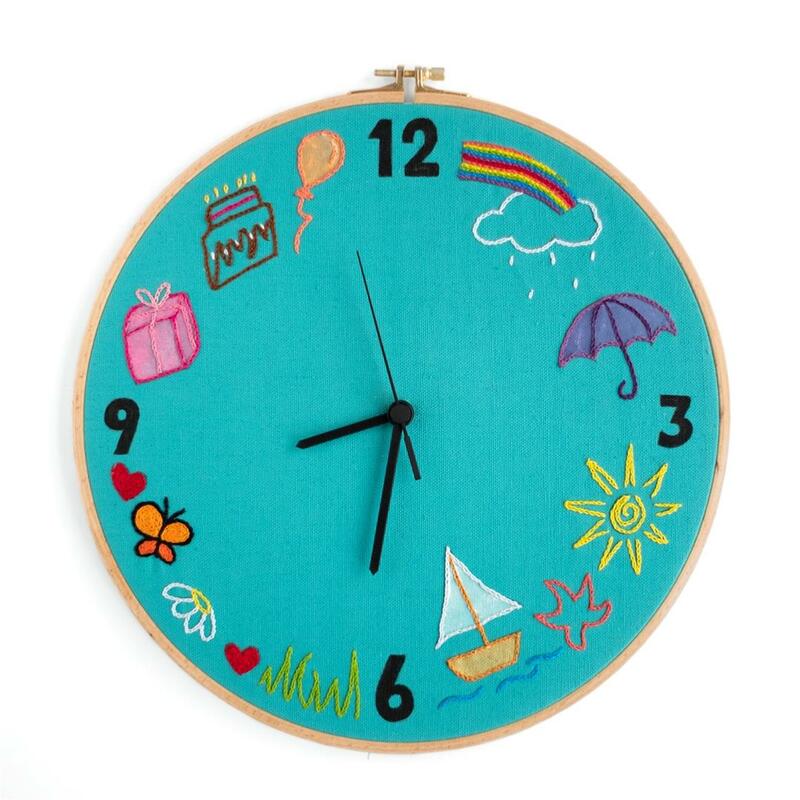 Colorful fabric wall clock inserted in an embroidery hoop. 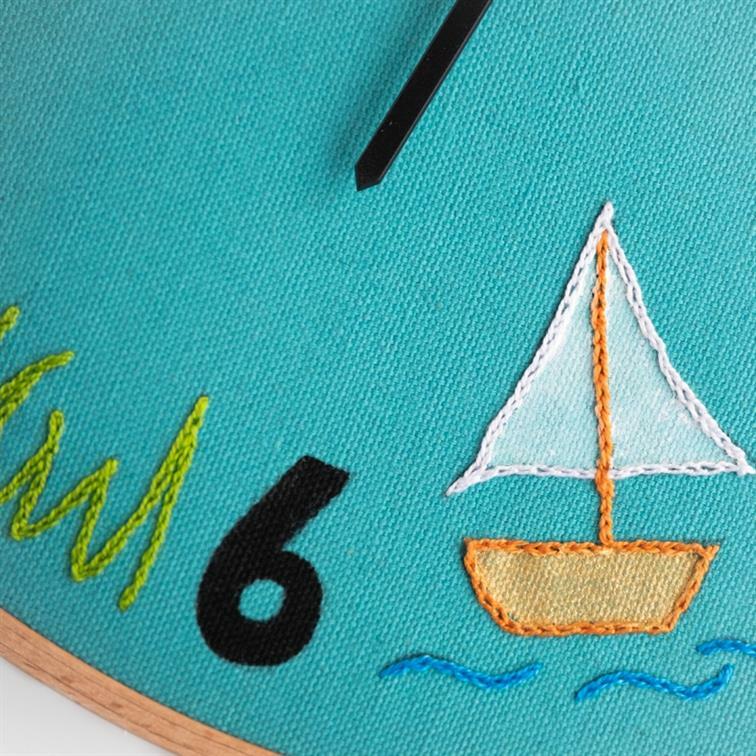 The clock is painted and embroidered entirely by hand and will add a splash of color to any room! Can be easily hung on a nail. Includes clock mechanism and hands. AA battery not included. Fabric and thread colors may vary slightly from picture. Each item is individually hand-made and no two items are exactly alike. Variations in color and design are likely and are a part of the beauty of the products. International shipping starts at $13.60 for registered mail and $30.30 for express mail. Local shipping in Israel starts at $6.10 for registered mail and $15.20 for express delivery to your door. Shipping prices depend on the value of the items you're purchasing. * Packages may take up to three business days until ready to be picked up/shipped. * International registered mail - Once shipped, package will arrive within approximately 16 business days. * International express mail - Once shipped, package will arrive within approximately 9 business days. * Package pickup from gift shop - Please arrange pickup by phone +972-2-628-7829. * Local registered mail in Israel - Once shipped, package will arrive within approximately 12 business days. * Local express delivery in Israel - Once shipped, package will arrive within approximately 3 business days. * Packages sent internationally may be subject to import taxes, customs duties and fees which may be levied when the package arrives in your country. Yad LaKashish cannot be responsible for any extra charges that you may incur. We do not have control over these extra fees and cannot determine what they may be. You should contact your local customs office for more information. Custom clearance procedures may cause delays in delivery. Great choice but choose color! Want to add your product to favorites? Sign in to your account or sign up now!